Every month 44 million Americans write a check to pay down their student loan debts. A new survey examines the negative impact. James Herbert is a senior vice president at First Republic Bank and tells us the student loan debt is taking an emotional toll beyond the commonly associated financial cost. In a recent survey done of over 2,000 people, it was found that 75% of persons with debt were depressed by their debt and 50% of them were frustrated making the payments each month. Over 44 million people in the U.S. have student loan debt. This is a national crisis. Fortunately there are ways that people can get relief. James Herbert is also Co-head of Eagle Lending which serves the needs of younger clients through products such as student loan refinancing and partner loan programs. He describes some realistic goals that should be set in order to effectively manage student loan debt. 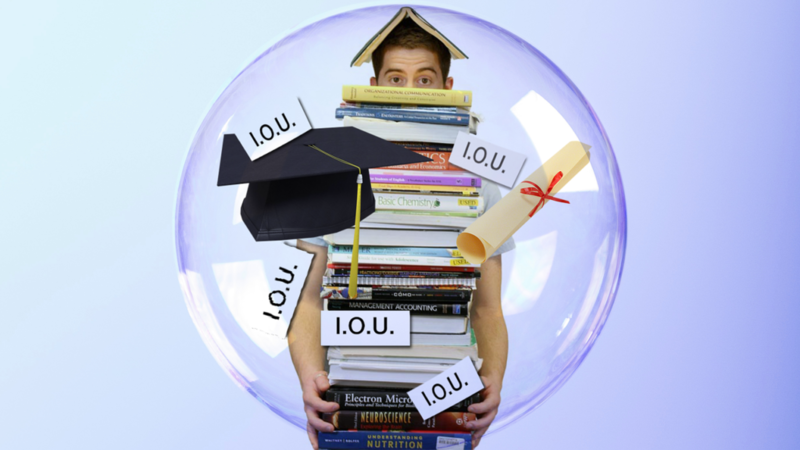 Student loan debt is a huge burden on people and what people should take a look at is refinancing their debt to lower their interest rate, so they can save a monthly payment and get out of debt sooner. According to the survey student debt has really hurt the housing market with loans preventing 400,000 young Americans from buying homes and more than half of those surveyed haven’t even explored refinancing because they don’t know where to start. People that have worked with First Republic have saved hundreds of dollars a month and gotten out of debt years faster. With rising interest rates, we’d encourage everyone to take a look now as the window is closing. To learn more about your options you can go online and search for student loan refinance. There are a number of websites that help lay out the various lenders rates and features that can help you understand what the options are. You should search around to understand your financial situation.